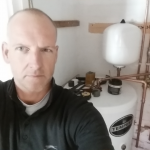 J P Plumbing & Gas Heating Ltd. Maintenance solution for all Commercial and Domestic heating requirements including Servicing, Breakdown and Replacement. Current Fuel: Electric. Current Boiler: Emersion heater. Would like the boiler in the bathroom. Replace within 3 months and contact anytime. Current fuel type: gas. Current Boiler: Biasi. 24. 20 years old. Not working. Unsure of location. Replace ASAP. Contact anytime. Currently using immersion heaters. Would like the new boiler to be located in the bathroom. Replace ASAP. Contact anytime. FF fault on Vitodens 100-W Combi Boiler. Fault manual suggests burner issue. Boiler can be reset but only works for around 20 minutes. Had an engineer come to do the safety cert yesterday but says the boiler is displaying an E05 fault and suggested I contact a specialist. Current boiler: BG 330. 11yrs. In utility. Not really working. Relocate to landing. Call anytime. Replace ASAP.